Prolotherapy is a non-surgical injection therapy that stimulates your body to repair the painful injured area by utilizing its own healing factors, known as growth factors. These growth factors are responsible for regenerating new healthy tissue that may strengthen and tighten tendons and ligaments as well as promote the re-growth of lost cartilage. At Vitalia, Dr. Atkinson uses PRP Prolotherapy, as it has a very high safety profiles and he has experienced excellent clinical outcomes with them. As the title suggests, PRP (platelet rich plasma) is manipulating platelets to release growth factors. PRP is an injection of concentrated platelets, which directly release growth factors into the injured area. Remember, growth factors are responsible for healing and the regeneration of tissue, so higher amounts of growth factors in an area means increased healing. PRP will heal an area faster and with fewer treatments. The caveat is that PRP comes at a higher cost per treatment and will cause more initial discomfort. Generally any injured or weak area requires 1-3 PRP treatments. Variability depends on the health and age of the patient, ability to heal, chronicity of the injury, severity of the injury and ability to allow the area to rest and heal. With any injection treatment there is usually a degree of discomfort, however, it is generally quite tolerable. There may be some pain and swelling post treatment, for up to 7 days. Pain and swelling is not as noticeable with Dextrose Prolotherapy as it is with PRP. It generally takes up to 3 months to notice the full benefits of treatment, and treatments are spaced 3-4 weeks apart to maximize the healing cascade. To enhance healing, 3000mg of Vitamin C daily are recommended. Other nutritional supplements may also be advised. 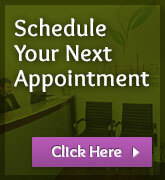 Most individuals are able to receive treatment, however, we do screen patients to ensure they are candidates. Those with Autoimmune joint conditions, platelet disorders, immune compromised, and uncontrolled diabetes are not suitable for treatment. We also advise against treatment for those who have a great deal of difficulty with needles. • No treatments to the area if you were treated with a steroid injection in the same area with in 3 weeks of treatment. Dr. Atkinson looks forward to helping you on your healing path and getting you back to the activities you love.